A Mayoral hopeful released a video of an empty Kingston night bus today in a controversial scheme to save the capital money by cutting transport costs. 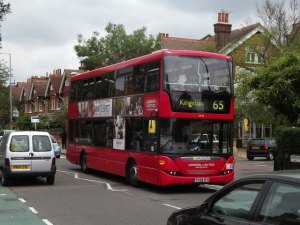 The 85 night bus, which takes late-night commuters from Kingston Hall Road to Putney Bridge Station, was the main focus of the video in which Stephen Greenhalgh emphasised the waste of funding on “ghost buses”. Enter your email address to follow The Sacred Inch and receive notifications of new posts by email.